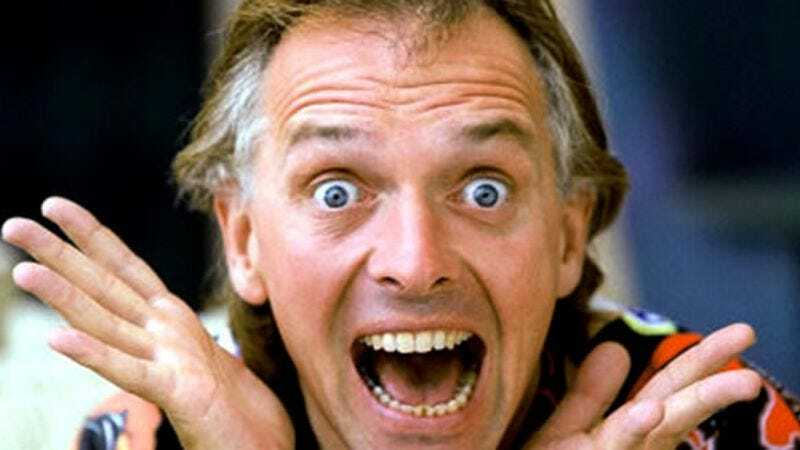 Rik Mayall’s performances were often bombastic, juvenile, and crude—intertwined with a certain sympathetic sweetness that stopped them from descending into unlikability. As it turns out, his correspondence with fans seems to have walked that same tightrope between nastiness and charm. For example, take this one, from Letters Of Note, written by Mayall in 2008 to a fan asking for an autograph. More recently, reddit user fertiletoast posted this letter, written by Mayall, at a fan’s request, to be opened on her father’s 60th birthday. Both letters manage to capture part of what made Mayall great—a profane disinterest in decorum, mixed with just a hint of affection to suggest that, deep down, he really cared.